i like soccer apparel very much, because jackgers clothing line are made this kind soccer apparel, just check the beautiful italy jacket. Aditennis serves it smooth and deluxe. The Adidas Aditennis Lux Hi is probably one of the coolest sneakers I've seen out of the Adidas camp since the Adidas Forums. I'm not kidding. These are not too chunky or slim, but served just right in 360. This purple and black color combo is super sleek and the fact that these are deadstock make them more unique. For men or women, these are very, very cool. You’re greeted by a familiar sight when you pop open a box with a JDM (Japanese Domestic Market) Seiko. A white outer carton, and a stronger cardboard presentation box inside. Instructions (Japanese and English) for the watch itself and warranty info are usually packed in the white carton as well. Open up the presentation box and you’re greeted with a plastic wrapped Seiko with several hang-tags (in Japanese with Yen values) on a tiny pillow. While nothing particularly fancy, I’ve been keeping watch bands in this presentation box and swap them out often… that means the box itself has gotten a great deal of usage (above and beyond just bringing the watch to you) and has not shown any wear and tear. The box seems to be coated with an almost fabric like substance which appears quite durable. The Sumo is, indeed quite large and immediately pops at you inside the box. red army production are apparel manufacture in some country in south east asia, produce a unique t-shirt, jacket, and apparel design. 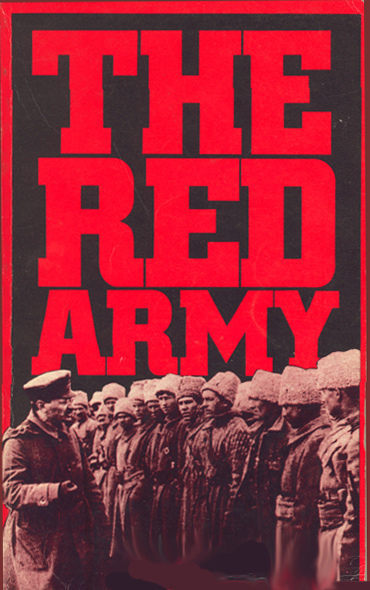 red army production give inspiration to us in red design. Mark Parker and Steve Jobs, CEOs of Nike and Apple, announced the first collaboration between the two companies. Eighteen months in the making, Nike Plus is the first of many (we hope) products from these two much-admired consumer product brands. And while this is a great first step, the big story is what other products the two will introduce over time. 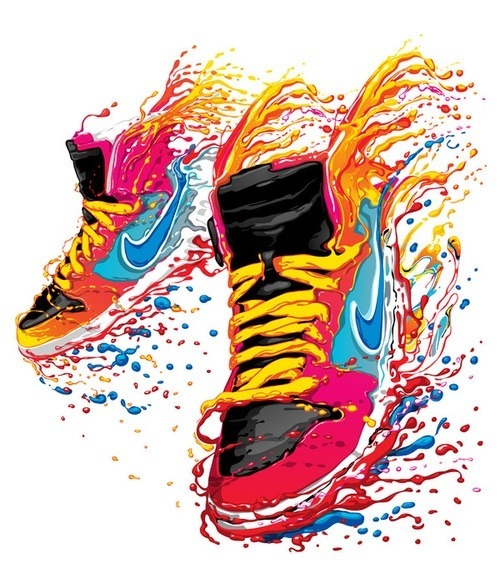 Nike Plus is a technology that allows runner’s shoes to communicate with their iPod Nanos. The Nike+iPod Sport kit consists of a small oval pod that you insert under the liner of your shoe (much like a SIM card), and a small transmitter that attaches to your Nano. The kit will cost $29. You load up your Nano with selections from the iTunes Store’s new Nike Sport Music section, manage your workout on the NikePlus site, put on your Nike Plus gear (see details on all of these after the jump), and you are good to go. The software tracks the usual data like time and distance, and includes a voice over, much like the nav system in your car, which communicates the details. The training and inspiration mixes offer advice as well. Nike’s lined up Lance Armstrong and Paula Radcliffe (who holds the women’s marathon record) among others, to share their favorite music and provide their inspiration while you train. 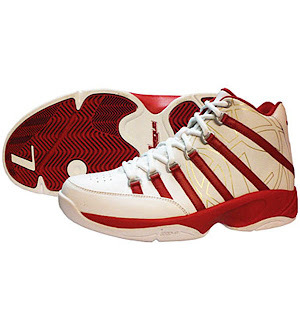 The first Nike shoe to support Nike Plus is the Moire (pictured). With a msrp of $100, the Moire will be available starting in July 2006 in the U.S. and U.K. and shortly thereafter in other markets. Starting this fall six other styles will be available (Air Zoom Plus, Air Max Moto, Nike Shox Turbo OH, Air Max 180, Nike Shox Navina and Air Max 90). The shoes are independent of the Nike Plus system, so you can wear them without buying or using the kit. The iTunes store adds a new Nike Sport Music section with special workout mixes, athlete inspirations, podcasts, etc. You can of course wear anything while you run, but the Nike Plus line of clothing includes a pocket for your Nano and impressive cord management. A software update for the Nano will include a new menu item, "Nike+iPod," which allows you to choose your workout distance, select your music (including your "power song" for those challenging moments), or download specific workout routines. During the workout relevant data is shown on the iPod screen, and post workout your summary is displayed. Sync your iPod and your data is uploaded to the nikeplus.com site, which tracks your workouts, progress, goals and offers community and inspirational content. More information is also available from the Apple Nike Plus site. funny nike advertisement, just like tiger wood isn't he? 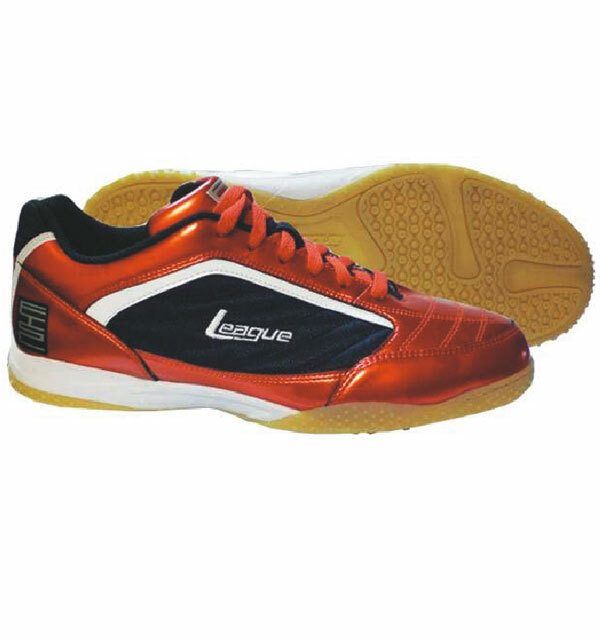 league are a new high quality foootwear, it is adidas and nike great rival, if you wanna have a great foot wear, don't forget to consider this lovely brand new sneaker.